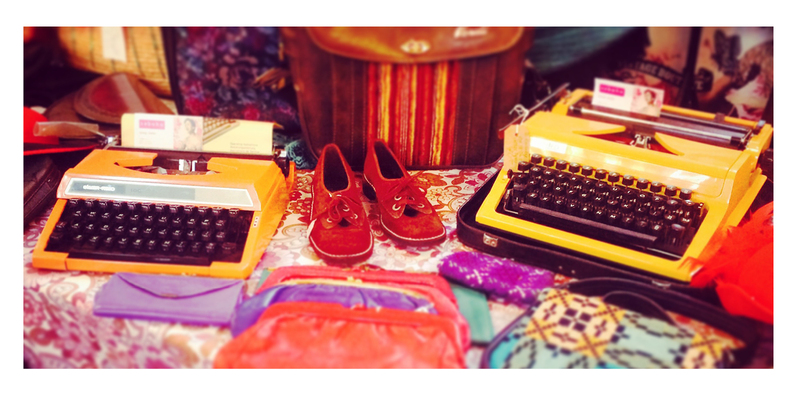 Vintage fairs tend to be full of fabulous fashion, beautiful accessories and the most well-dressed fashionistas in town. 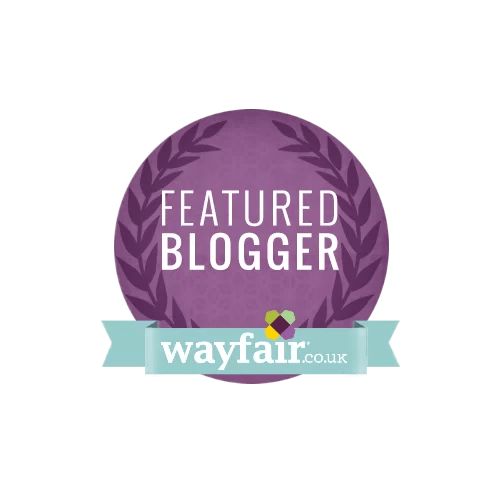 As my blog is all about homewares, upcycling and interior design, when I was asked to go along to the LouLou Vintage Fair in Newcastle last month I was a bit sceptical about the amount of homewares there would be on offer. On first glance the room at the Civic Centre in Newcastle was indeed full of fashion. However, as I walked around the room, feeling very underdressed, I uncovered a few hidden gems. Among the vintage fur coats, handbags and lindy-bop dresses, I found quirky tableware, upcycled jewellery and one off signage lights. Loved these old typewriters. 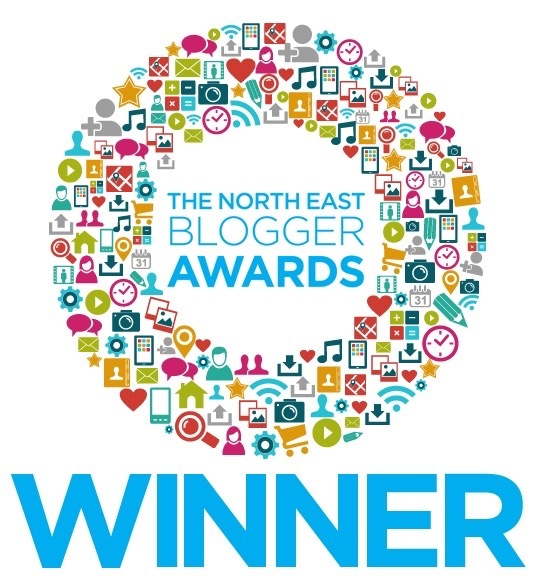 Surely a must for any vintage blogger. These were possibly my favourite things in the room. 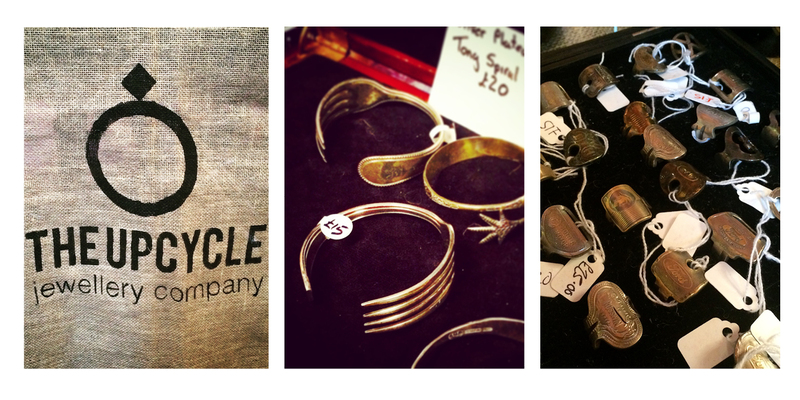 The Upcycle Jewellery Company have transformed forks and keys into bangles and ‘key-rings’. Just beautiful. Cake stands with vintage tea plates are a big trend at the moment, I think Cath Kinston has a lot to answer for on this one! 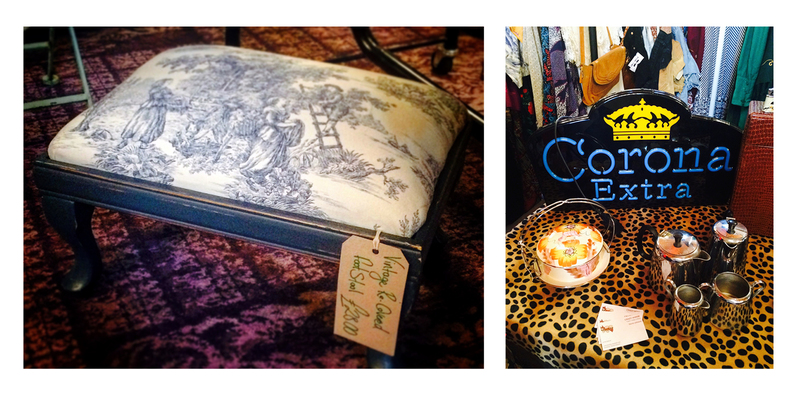 Hidden under a row of 50’s dresses was this beautiful stool, painted and upcycled with a lovely blue toile material. Bargain at £30! 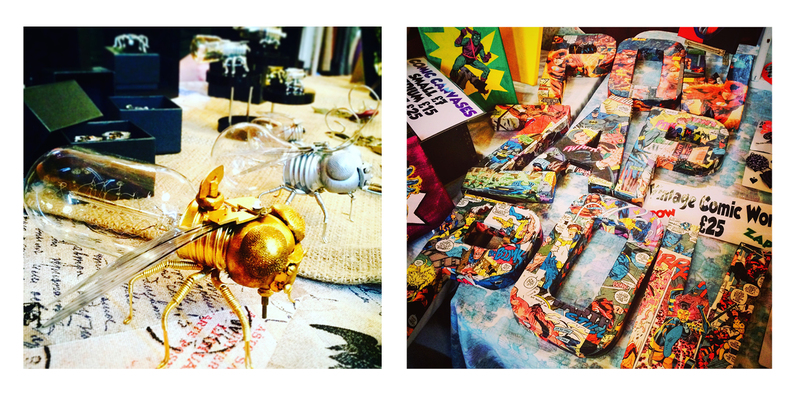 Lightbulbs upcycled into wasps and old comics decoupaged onto cardboard letters are great for kids rooms! Not homewares but I did love the brands on these two stands! 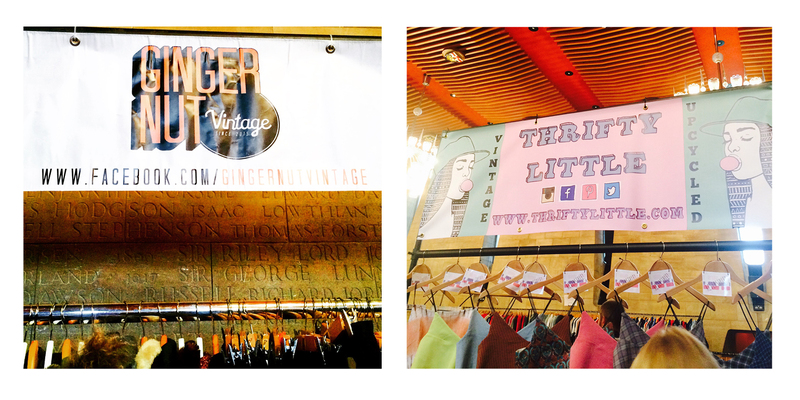 Gingernut Vintage and Thrifty Little. A good brand will always attract me to a stand in a room full of the same looking stock. 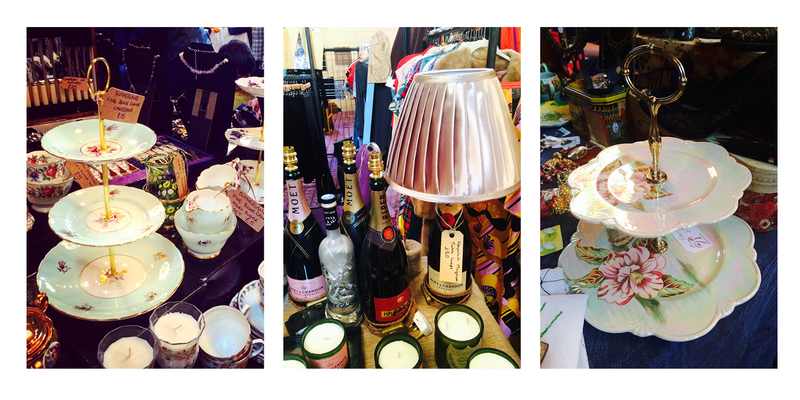 So all in all, I’d definitely go back to vintage fairs on a homewares hunt. 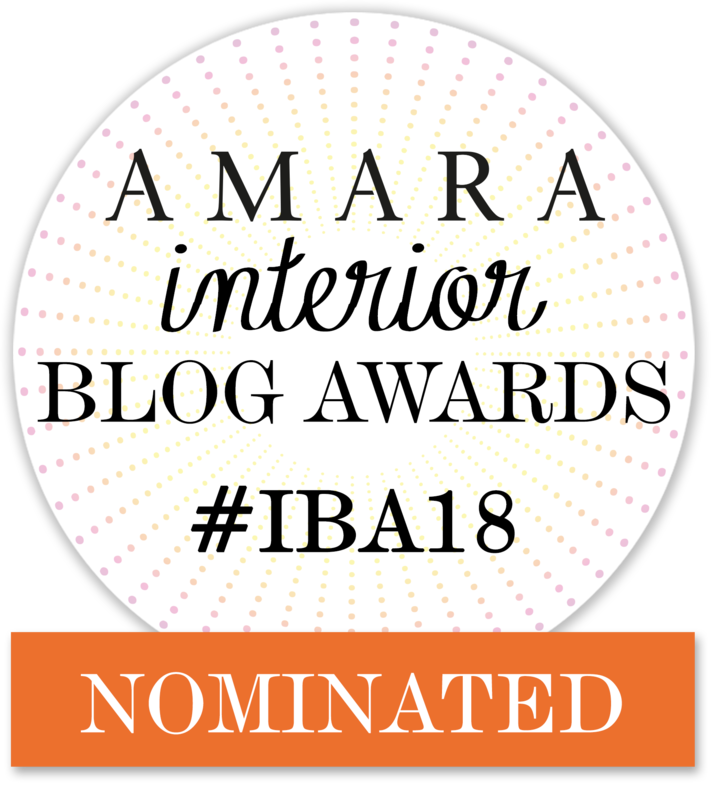 My only advice is to look underneath the clothes and behind the bags to uncover the gems! On the plus side you can find some really bargains. This is awesome! I wish South Carolina would step their vintage game up.